This web site covers all the current active bolt funds in the UK. 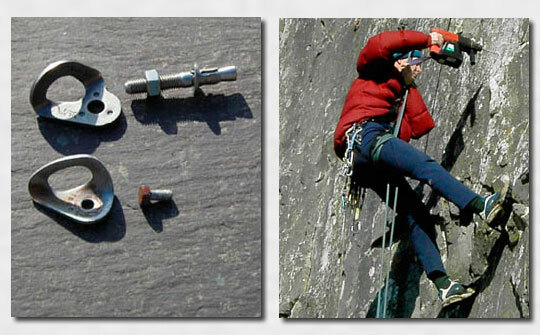 These bolt funds support essential maintenance and re-bolting work on sport crags across the UK. Each bolt fund works in a slightly different way but the basic idea behind them all is to pay for bolts, bolting and the gear required to place them. Most of the funds use their money for re-equipping only. Please visit this web site regularly to show your support for the bolting effort and consider making a contribution each time you enjoy a few days of sport climbing. Been Sport Climbing this year? Whatever you've done on the bolts this year, whether it was an 8c or a 5c, why not send some cash to the bolt funds to help keep those bolts safe, and your crags well equipped. The Dorset Bolt Fund was set up originally in 1993 by Pete Oxley. The funds raised are used exclusively for re-equipping on existing routes on Portland and Swanage in accordance with the Dorset Bolt agreement. The North Wales Bolt Fund was established in 2008. Money is used for re-equipping and subsidising new routing. Assisting primarily in North West Wales Areas but also Clywd, Llanymynedd and Mid-Wales. The Peak Bolt Fund was set up in 2008 to support sport climbing on Peak Limestone. To date most of the work has been on harder sport routes and the money is mostly used for re-equipping. A fund dedicated to equiping and maintaining the fixed gear at Frogsmouth Quarry in Cheshire. The Yorkshire Bolt Fund was set up in 1995. Much re-equipping work has been done across the Yorkshire Limestone area. 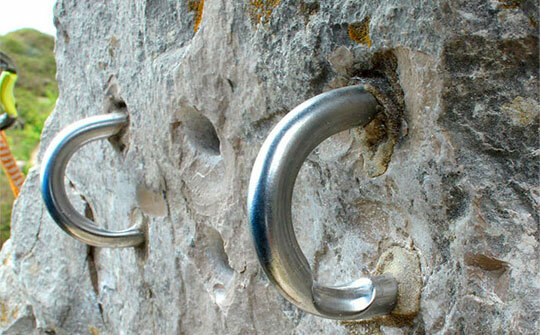 The money is also used for new routes and developing some completely new crags. The Cumbrian Bolt Fund was established in 2008. It has carried out work on South Lakes Limestone, Lakeland Slate and on St. Bees. The majority of the money has gone towards bolts and materials for re-equipping. Gary has placed thousands of bolts over the years in both new routes, and in re-equipping old routes. His work is spread across the Peak District, Clwyd and South Wales. No matter how long this fund stays in place it couldn't recompense Gary for the work he has put in re-equpiing routes. For the first time, we have set up a bolt fund to support re-equipping of sport routes in Scotland. The BMC fund only allows applications from England and Wales, and the SMC does not administer a fund. Applications can be made using the form below for projects involving the replacement of old and/or inadequate fixed gear. We are not funding new developments. The El Chorro Bolt Fund is a joint project between Rockfax and the Olive Branch in El Chorro. Funds from the sales of Rockfax books, and other donations from the Rockfax and Olive Branch web sites, will be directed towards this fund, as well as any money from donation tins in the Olive Branch. The money from the fund will go to the Federación Andaluza de Montañismo who are a local organisation who look after bolting in the El Chorro area. Their work is mainly in maintaining fixed gear on routes but also for establishing some new routes. If you have climbed, or planned to climb, in El Chorro please give generously. Kalymnos is a very special destination that brings climbers back year after year. 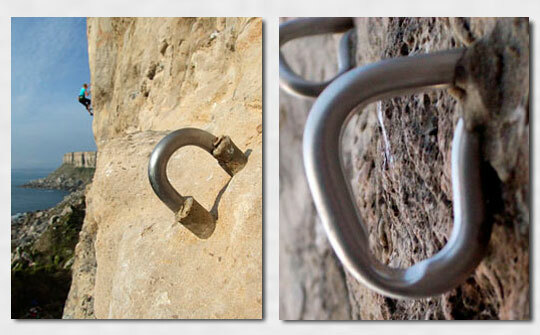 The rapid development of new routes on the island is great for climbers and provides much needed tourist revenues, but it also means that Kalymnos faces a unique problem of bolt maintenance on a huge scale. The bolt fund started in the Glaros Bar in Massouri, and theSend's topo application is the next step in generating much needed revenue for replacing old bolts and anchors. We very much hope that you will make a contribution to the bolt fund by donating using the button below, buying the App or going into the Glaros Bar in Massouri and putting some money into the collection box there. Thank you. I'm afraid you're using a web browser from the dark ages. Please follow the instructions here to enjoy a richer experience on the internet.